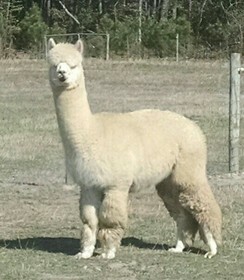 Luke is the grandson of Evander (dam's side) and 4Peruvian Pachacuti (sire's side). Sadly, Evander has passed away. 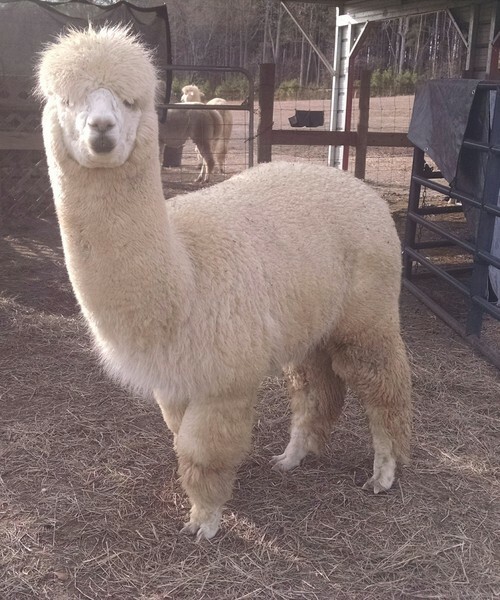 Luke is a serene white boy who exhibits both a calm demeanor and determination, much like his easy-going sire. He is a personable guy. Luke has solid conformation and sweet personality and he gets along fabulously with the other guys. He has color in his background, take a second look at his lineage. 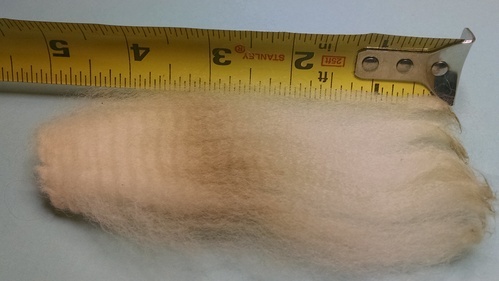 His fine fleece has the best characteristics from his parents: density and nice crimp, plus his mother's great staple length and soft handle with his father's consistency. And he has a lot of it, look at that coverage. At five years old Luke took first place in Cottage Fleece and Second place in the Handcrafter's Spin-off at the 2018 Southern Alpaca Celebration (SAC). 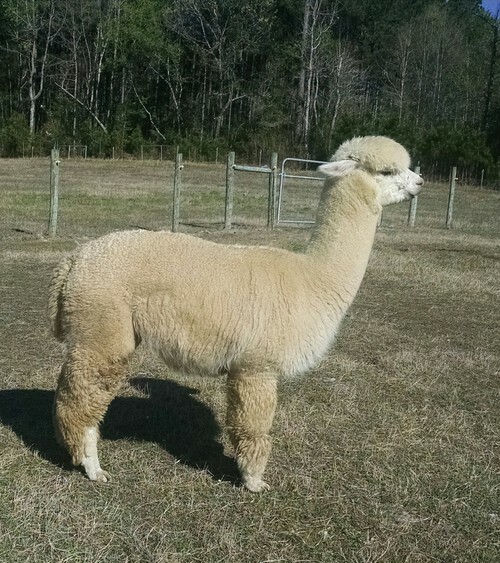 SAC was a dual show hosted by the Carolina Alpaca Breeders and Owners and the Southeastern Alpaca Association. 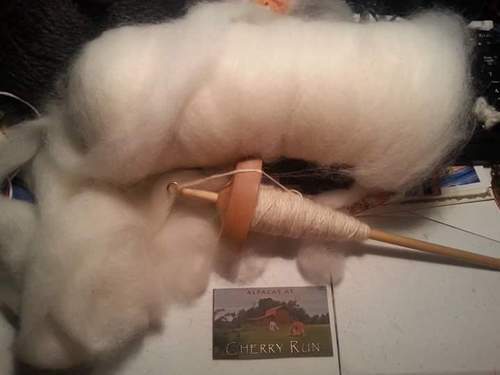 Luke's fleece makes a lot of yarn and like his dam, roving made from his fleece is an easy sell. I can't keep either in stock. He is now available for breeding. Add him to your lineup and continue Evander's line.